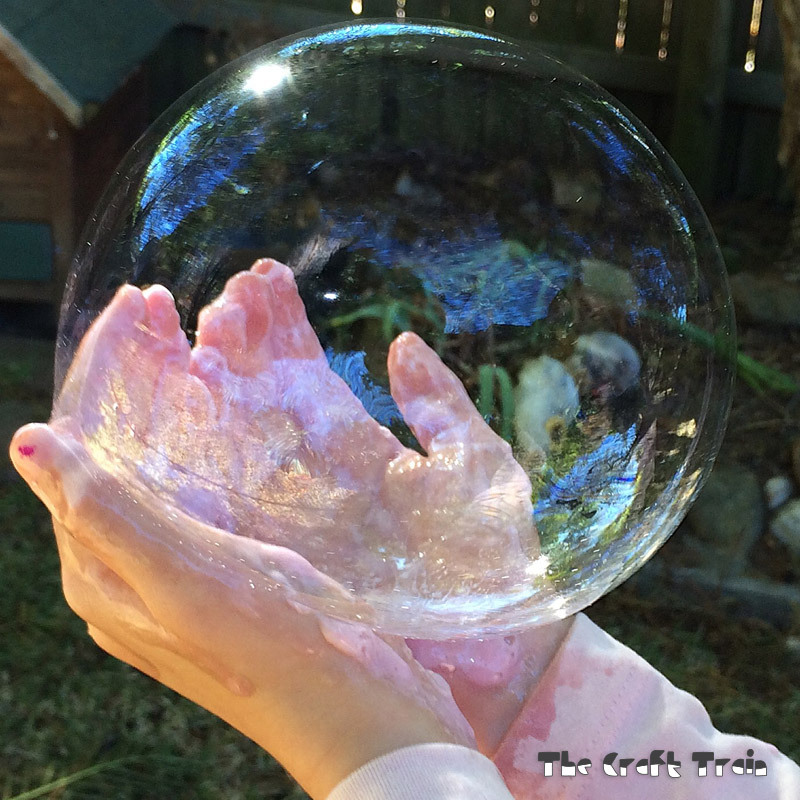 Today I’m sharing one of Miss K’s favourite tricks: Making bubbles with the liquid hand soap in our bathroom. I’m not sure if she discovered this trick herself or if she learned it from a friend, but it first happened one day at school pick-up time when I was waiting and waiting for her to come out of class. This is nothing new because my kids are often the last ones to come out of their classrooms – incidentally we are usually one of the last to arrive in the mornings too. On this particular day though she was just not coming out at all, and when I checked her classroom she was not there either. 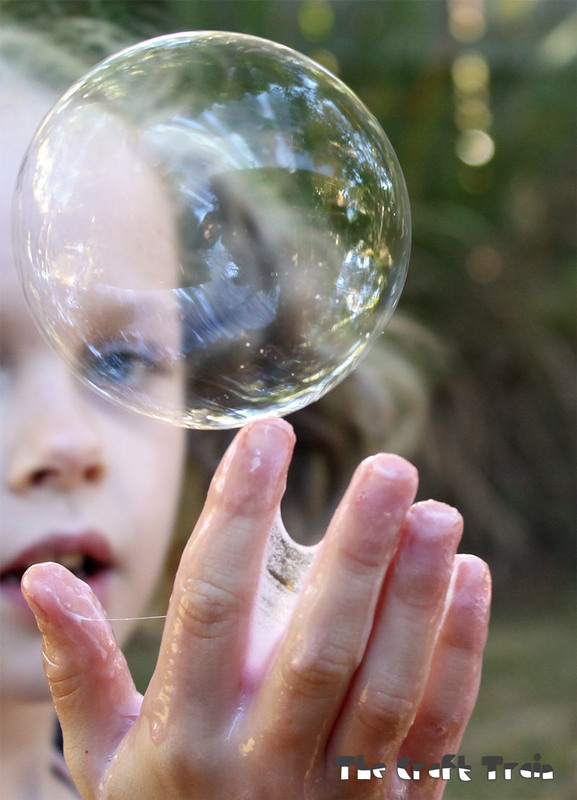 Eventually I found her in the toilets with one of her friends giggling and making huge bubbles from the liquid soap. You might think a lecture was in order, but instead I couldn’t help admiring her awesome new trick. Those bubbles looked very cool and I felt like making some myself, but unfortunately I’m allergic to almost all kinds of squirty soap so I haven’t actually tried this. 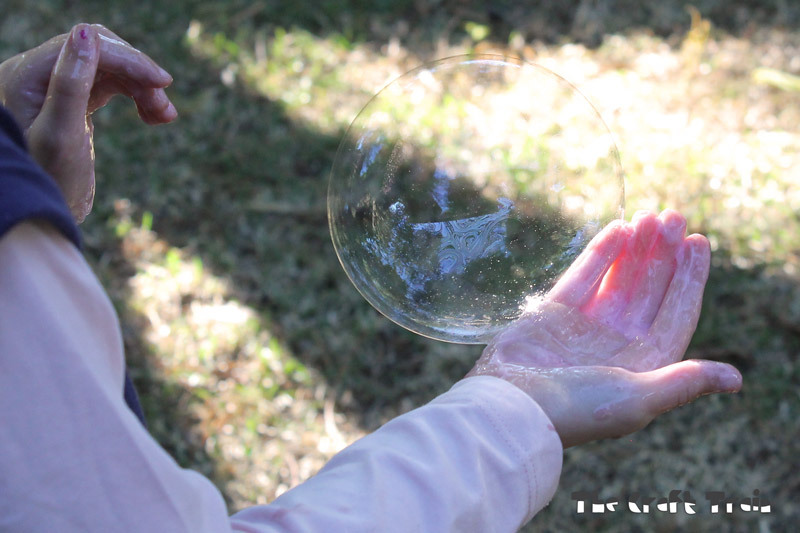 Miss K has no such allergies and is attracted to sensory play, so she’s happy to make hand soap bubbles for quite a while. 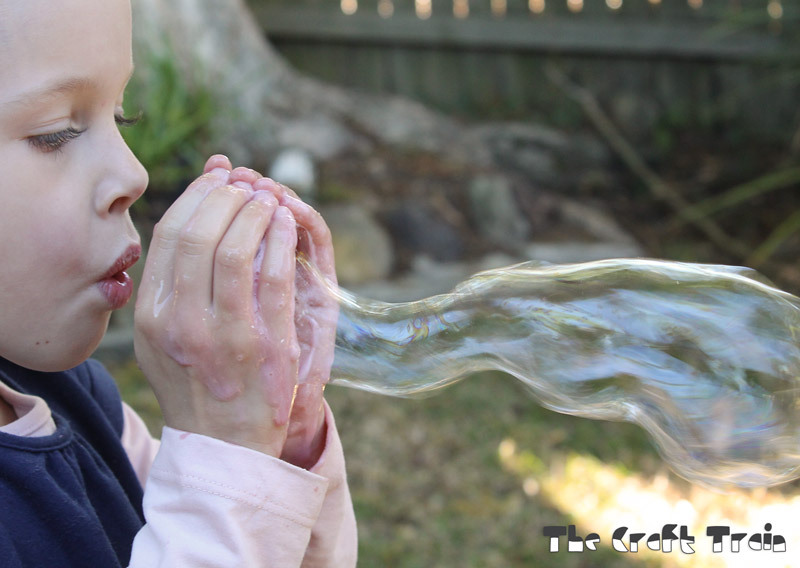 Here is a quick run-down on how to make the bubbles as demonstrated by my daughter. All you need is a container of liquid hand soap in a pump pack, we used the Aldi brand which is cheap and works great. It’s best to go outside to avoid getting a soapy mess all over the bathroom too (speaking from experience here). Squirt some soap onto a dry pair of hands (wetting them, I’m told, doesn’t help). Rub the soap into a lather until the beginning of bubbles appear in between your fingers and hands when you stretch them apart. You might need to add more soap if it doesn’t seem to be working. 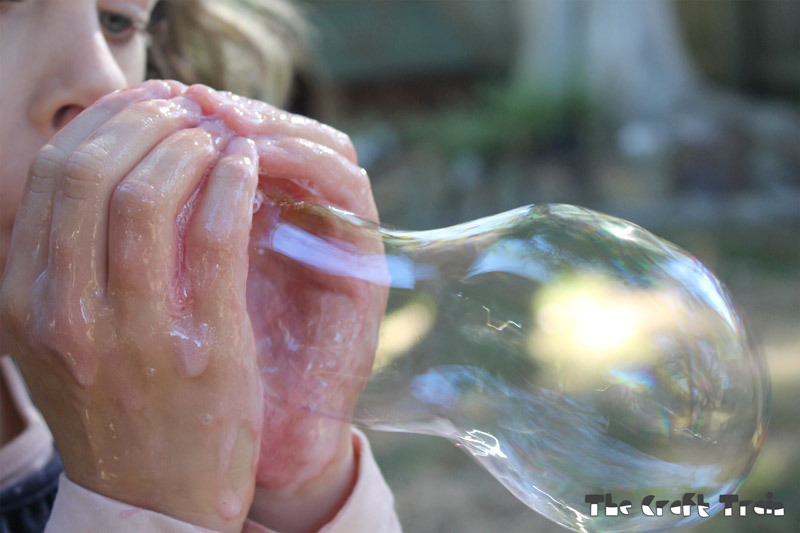 Miss K used a generous amount and it took her 5-10 minutes of trying to get good bubbles, but she had plenty of “almost got one” attempts and once she got the knack of it they kept on coming. Gently and slowly but using a steady, strong stream of air blow into the stretched soap. 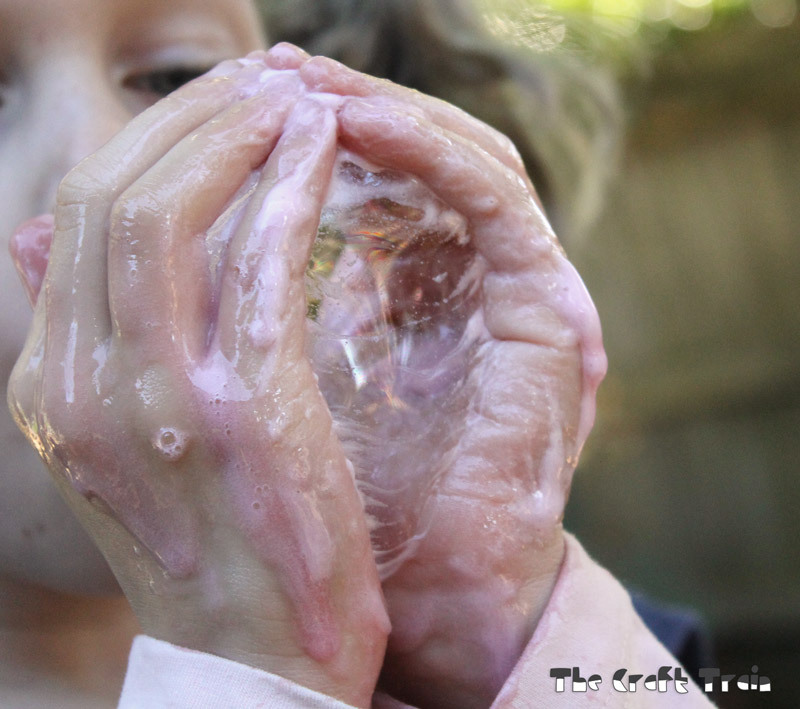 As a bonus, using soapy hands you can catch the bubbles and hold them for a moment before they pop. 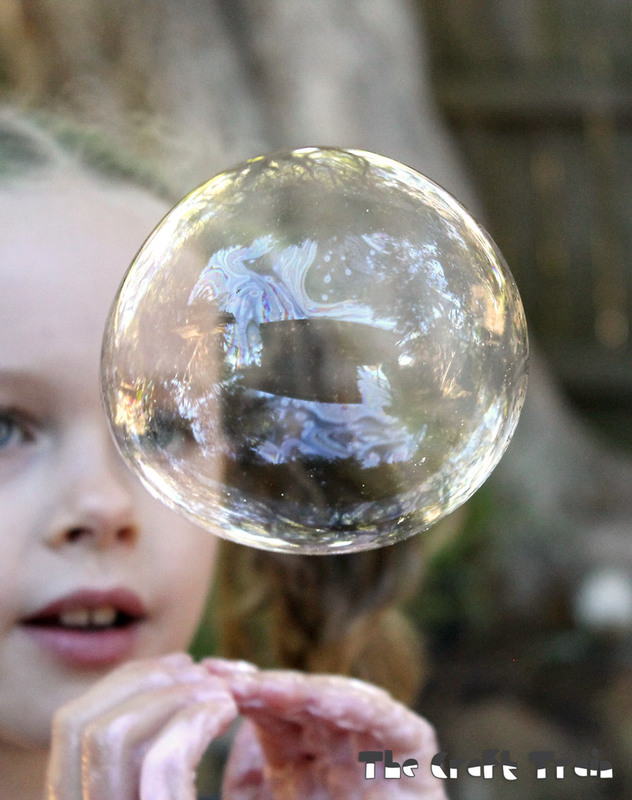 So there you have a simple, inexpensive and fun activity for a sunny day. Your photos are stunning! I had no idea you could do this with hand soap, I’ll be remembering this to try it out one day! Wow! They are some impressive bubbles!!!! Thanks Anna, they are definitely fun!